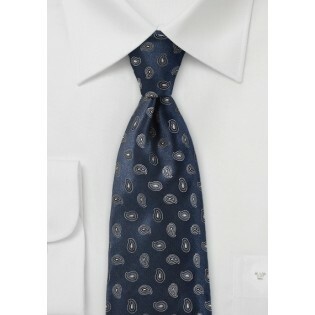 Sometimes, all you need is a minimalistic Paisley to complete the perfect casual and/ or professional ensemble. 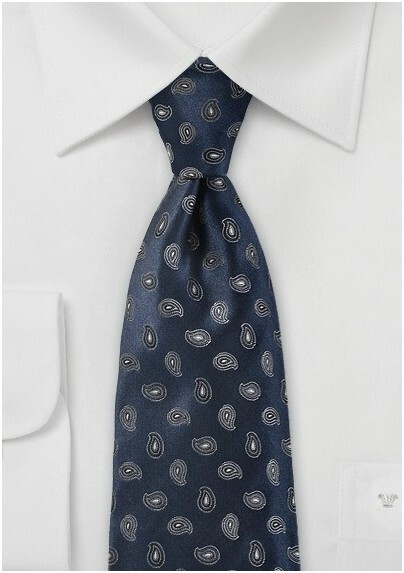 That was the inspiration behind this modern, masculine and minimalistic Paisley Motif Necktie in Navy and Silver. This ties handwoven pattern exceeds any and all expectations. We love to see this phenomenal piece coordinated with a broken in cotton chinos, a cardigan and a chambray button down. Made from one hundred percent premium silk. .